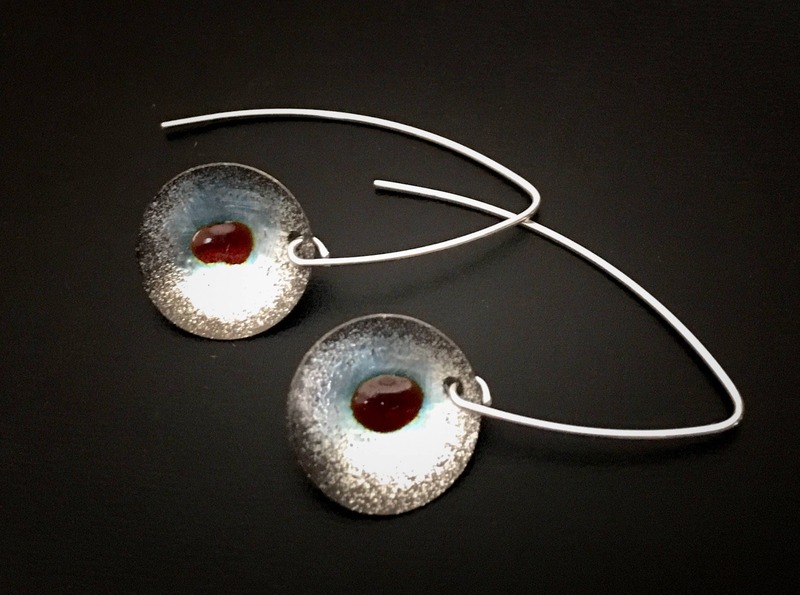 Casual EnamelArt drop earrings feature transparent crimson & pale blue vitreous enamel on round concave Fine Silver discs, suspended from a Sterling silver ear wire. Exposed areas of discs are oxidized. Discs measure approx. 5/8” in diameter, total length of earrings approx. 1 3/8”.